BMW focuses on fuel efficiency in its 2014 lineup, as the company debuts an all-new i3 subcompact electric car, plug-in hybrid i8 sports car, and new 3 Series and 5 Series diesel-powered powertrains. A 2014 4 Series model joins the lineup, as well. In addition to its new 328d diesel-powered variant, the 2014 BMW 3 Series arrives with an upgraded iDrive system and more standard features--though it is now only available in sedan form. The 5 Series sports a new diesel engine plus updated styling and a more powerful V-8 engine for the 550i, while the 2014 6 Series offers a more widely available all-wheel-drive (AWD) system, limited-edition models, and an updated navigation system. For the top-of-the-line 7 Series sedan, BMW has added a customizable digital instrument panel, foot-activated power trunk lid, and the latest version of iDrive. Fans of the high-performance M3 will be disappointed to learn that BMW has discontinued that model, though the M5 returns with updated styling, upgraded powertrain and chassis, and a new Competition package. The latter is also available on the 2014 BMW M6, as are the retuned engine and underpinnings, manual gearbox, and new ceramic brakes. 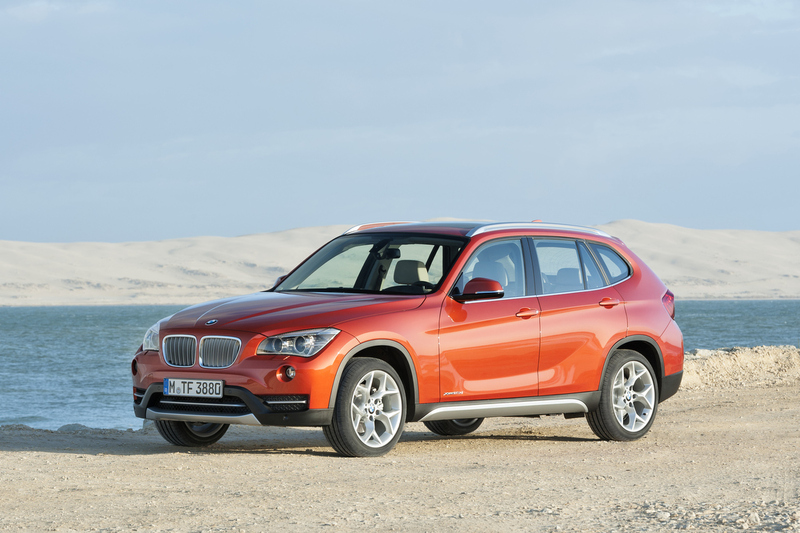 BMW's crossovers have undergone a number of changes for 2014, too, including more standard features for the X1 and X3. The X5 has been redesigned and now boasts freshened styling, rear seats that are more comfortable and easier to access, the choice of rear-wheel-drive (RWD) or AWD capability, and an 8-speed automatic transmission. A universal garage door opener is now standard on the 2014 BMW X6. The 1 Series, M3, and X5 M have been eliminated from the BMW portfolio and will not be returning for 2014. BMW's popular 3 Series model returns for 2014 in sedan, wagon, and gran turismo (GT) body styles. Coupes and convertibles are no longer part of the 3 Series lineup as they have transitioned to the new 4 Series nomenclature (detailed below). Differentiating the 2014 3 Series from its predecessor is an updated iDrive infotainment system featuring a new controller and touch-pad functionality. BMW has also added 328d sedan and wagon variants equipped with a turbocharged, 2.0-liter 4-cylinder diesel engine that produces 180 horsepower and 280 lb.-ft. of torque. The EPA claims drivers can expect to average up to 45 mpg on the highway with this engine. Gas-powered 4- and 6-cylinder engines are also offered, as is a hybrid powertrain. 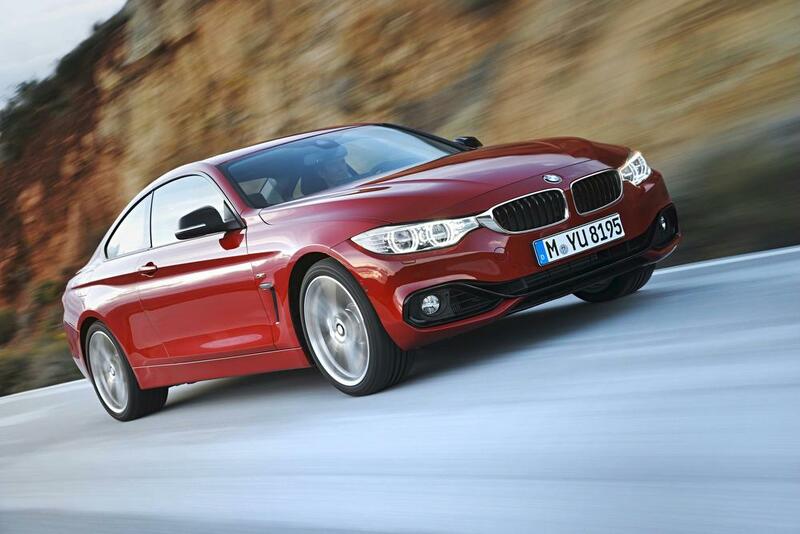 All-new for 2014, the BMW 4 Series coupe is available with RWD or AWD capability and seating for 4 occupants. Buyers have the choice of 428i versions fitted with a turbocharged, 240-horsepower 4-cylinder engine, or 435i models equipped with a turbocharged, 6-cylinder engine that delivers 300 horsepower and 300 lb.-ft. of torque. 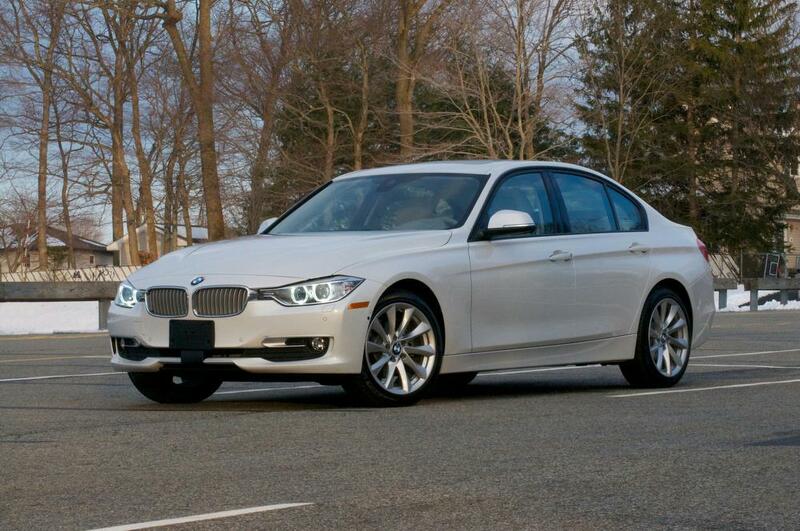 According to BMW, the 2014 4 Series can reach 60 mph in just 5 seconds. 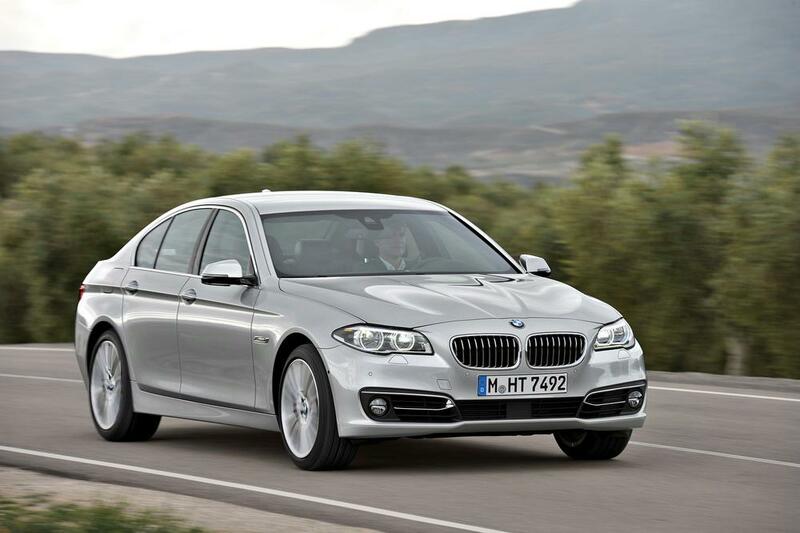 Like the smaller 3 Series, the 2014 BMW 5 Series debuts with a diesel-powered variant. The 2014 535d features a turbocharged, 3.0-liter, inline 6-cylinder diesel engine that delivers 255 horsepower and 413 lb.-ft. of torque, and EPA-rated fuel economy of 26/38/30 mpg (city/highway/combined). While the 535d is only available in sedan form, BMW does also offer the 5 Series in the 4-door hatchback GT body style. All 2014 models sport updated styling, an updated infotainment system that includes a new controller and touch-pad functionality, and options such as LED headlights. In addition to the 535d, buyers have the choice of RWD or AWD 528i, 535i, and 550i trim levels. According to BMW, the 550i utilizes a V-8 engine that has been updated to provide more power and efficiency. A hybrid version of the 5 Series is also available. EPA fuel-economy ratings for that model are 23/30/26 mpg. The 2014 BMW 6 Series continues to be available in 2-door coupe, 4-door gran coupe, and 2-door soft-top convertible body styles. Base 640i models feature a standard RWD configuration, though they can now be upgraded with optional AWD. As was the case previously, 650i variants are offered in RWD or AWD form. Other updates for 2014 include a revised navigation system, new Active Driving Assistant safety package with lane-departure and forward-collision warning systems, and an M Sport Edition package comprised of heated and cooled multi-contour front seats, active high-beam headlights, customizable digital gauge cluster, head-up display, and more. The 2014 model year also marks the debut of the Frozen Brilliant White Edition 6 Series convertible. Availability in the United States is limited to 100 cars, all of which feature matte-finish paint, unique 20-inch alloy wheels, black exterior trim, and a host of additional standard amenities. While lacking the comprehensive updates in features of the 5 Series, the 2014 7 Series flagship sedan does arrive with some notable changes, including the revised iDrive system, customizable digital instrument panel, and a power trunk lid that can be activated by simply swiping your foot under the bumper. BMW also includes a new safety package that includes a forward-collision warning system in the 2014 7 Series. 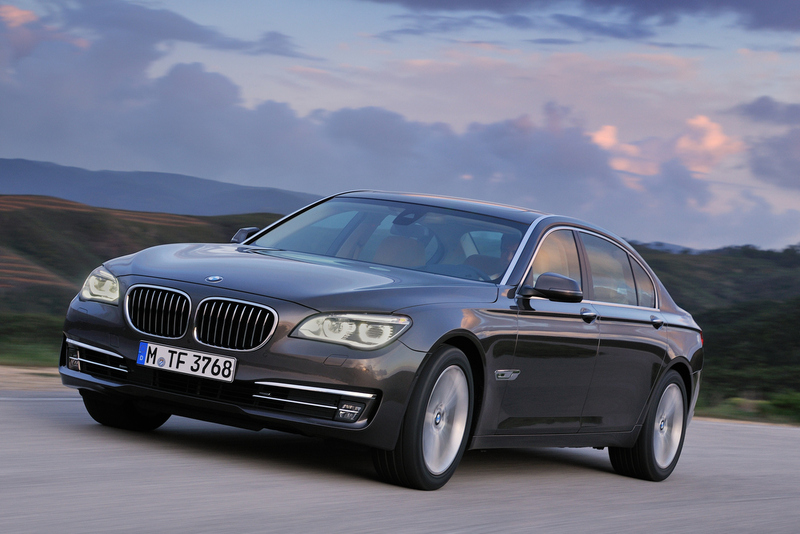 Trim levels include regular- and long-wheelbase versions of the 740i and 750i, and the ActiveHybrid 7. AWD capability is optional on select models. All-new for 2014, the 4-passenger BMW i3 is an electric subcompact car that the company claims can reach 60 mph in 7.2 seconds, has an operating range of 80-100 miles, and can be fully charged in only 30 minutes using a DC fast charging unit. 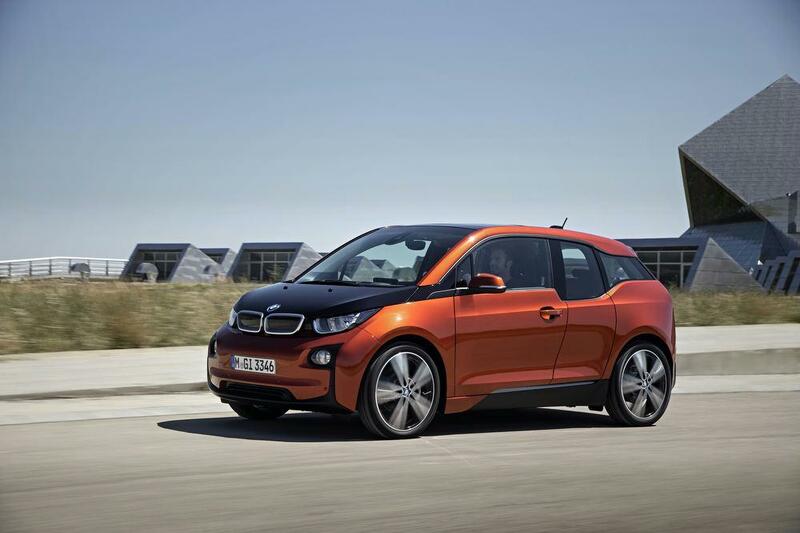 Drivers who opt to amp up their i3 at home using a 220-volt outlet face about 3 hours of down time. 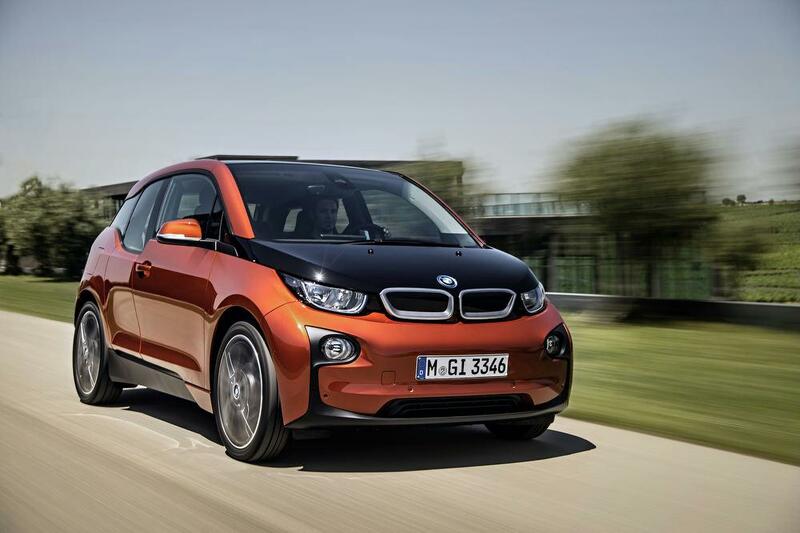 Power for the 2014 i3 comes from a 170-horsepower electric motor supported by a Lithium-ion battery pack. A "range-extender" option adds a 2-cylinder gas engine to keep the battery charged to a minimum level for longer distances. 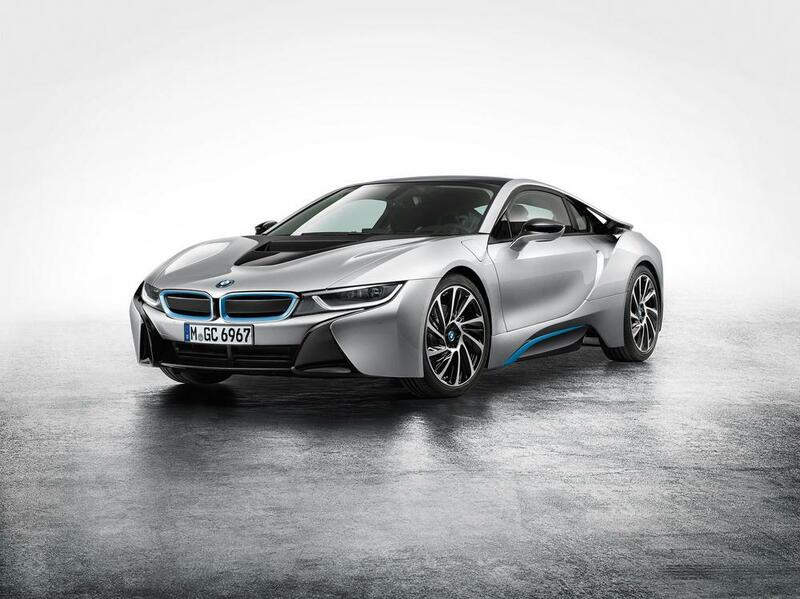 Also all-new for 2014, the i8 plug-in hybrid is a 4-passenger AWD sports car that, according to BMW, can hit a top speed of 155 mph or, when driven in a more moderate fashion, can travel up to 22 miles on nothing but electric power. At the heart of the 2014 i8 is a turbocharged, 1.5-liter 3-cylinder engine joined by a Lithium-ion battery pack, electric motor, and two automatic transmissions--a 6-speed used for delivering power to the rear wheels and a 2-speed that transfers output to the front wheels. Net ratings are 362 horsepower and 420 lb.-ft. of torque. Based on the updated 5 Series, the 2014 BMW M5 sport sedan features revised styling, the latest version of iDrive, and options like LED headlights. There's also a new Competition package boasting an aggressively tuned sport exhaust system, mechanical steering engineered to be feel more responsive, unique 20-inch alloy wheels, upgraded suspension, and an extra 15 horsepower from the turbocharged, 4.4-liter V-8 engine. Similar to the M5, the 2014 BMW M6 arrives with a new Competition package that ups the performance ante with more power, upgraded chassis, retuned exhaust, and special 20-inch alloy wheels. 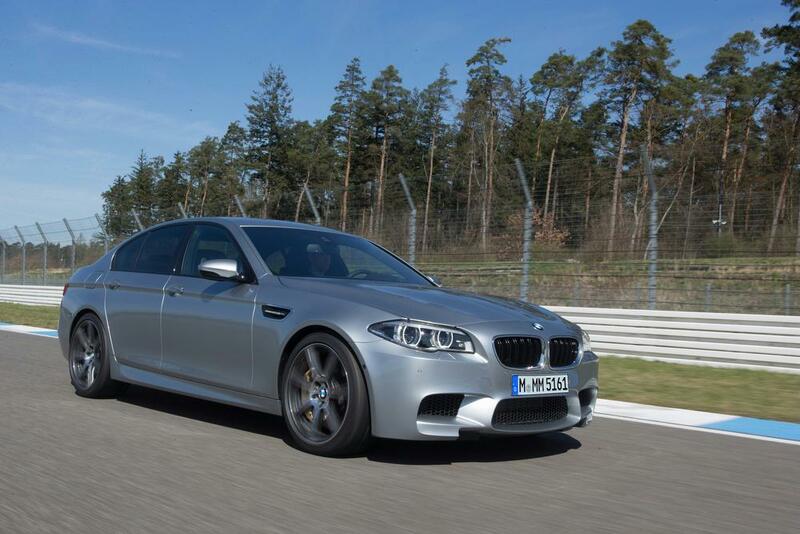 BMW claims the combination of upgrades cuts the M6's 0-60 mph time by 0.1 seconds. 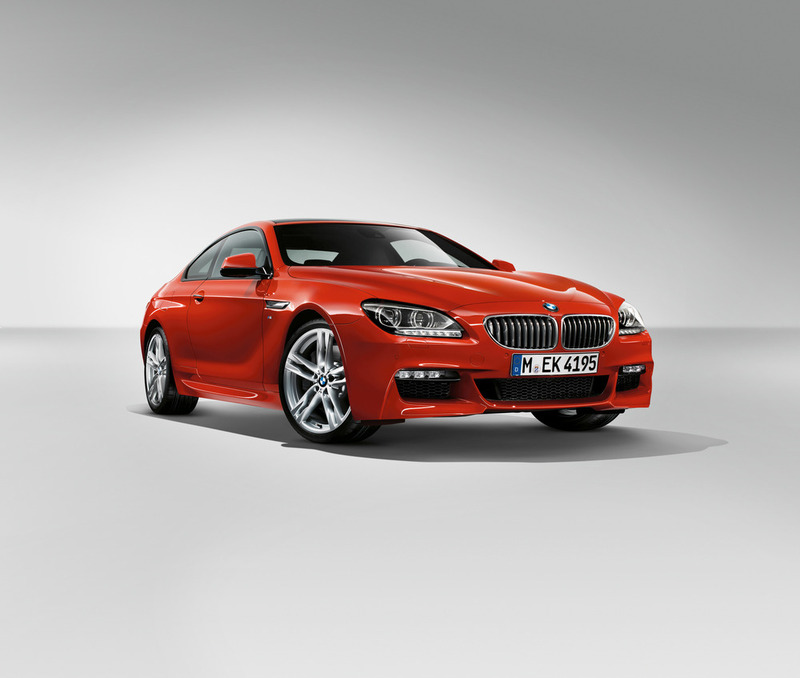 The company is also broadening the M6 portfolio by complementing the current coupe with a new gran coupe body style. Unlike the carried-over 2-door, this new 4-door variant is equipped with standard 4-zone climate control, black chrome trim, carbon-fiber rear diffuser, and floor mats with contrast stitching. All M6s will now be offered with a 6-speed manual transmission or 7-speed automated manual gearbox, and high-performance ceramic brakes. BMW's smallest crossover model greets the 2014 model year with upgrades including a standard telematics system and minor package updates. Buyers have the choice of RWD or AWD X3s equipped with either a turbocharged 4- or 6-cylinder engine. Very little differentiates the AWD 2014 BMW X3 from the 2013 model, with updates limited to a new iDrive infotainment system and the addition of standard auto-dimming rearview mirrors, a telematics system, 40/20/40 split-folding rear seats, and a universal garage door opener. 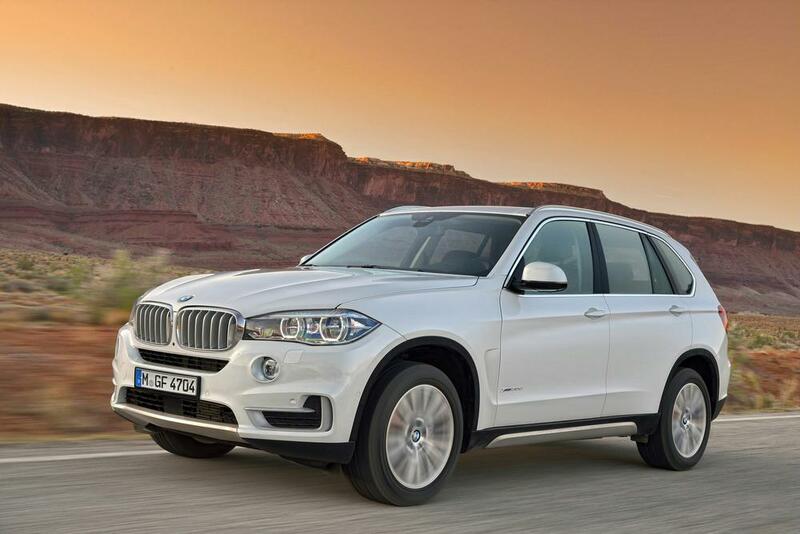 Trim levels include the X3 xDrive28i and the X3 xDrive35i. Redesigned for 2014, the BMW X5 crossover offers freshened styling, a choice of RWD or AWD capability, 40/20/40 split-folding second-row seat and improved access to the available third-row seat, and a start/stop assist system engineered to provide better fuel economy. BMW offers the 2014 X5 in sDrive35i and xDrive35i trim levels. A diesel-powered xDrive35d model is also part of the lineup, as is an xDrive50i variant equipped with a V-8 engine that now boasts 445 horsepower (up from 400 in 2013). 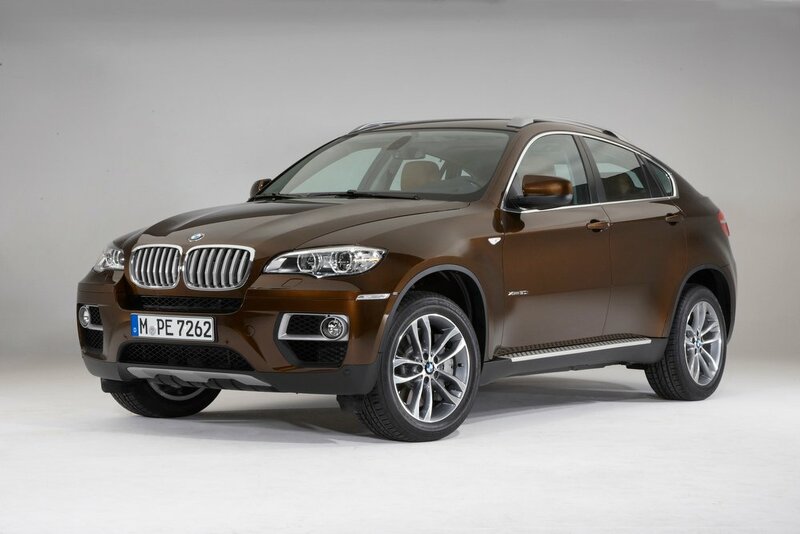 Aside from a newly standard universal garage door opener, no changes have been made to the 2014 BMW X6. Buyers have the choice of 300-horsepower X6 xDrive35i, 400-horsepower X6 xDrive50i, and 555-horsepower X6 M models. 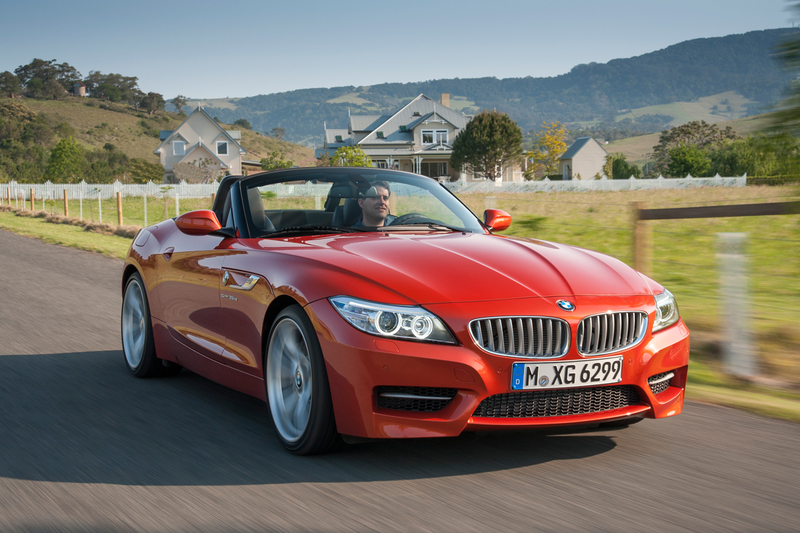 BMW has made no changes to the 2-passenger Z4 for 2014. This RWD roadster continues to feature a retractable hardtop and is available in three trim levels: 240-horsepower sDrive28i, 300-horsepower sDrive35i, and the 335-horsepower sDrive335is.